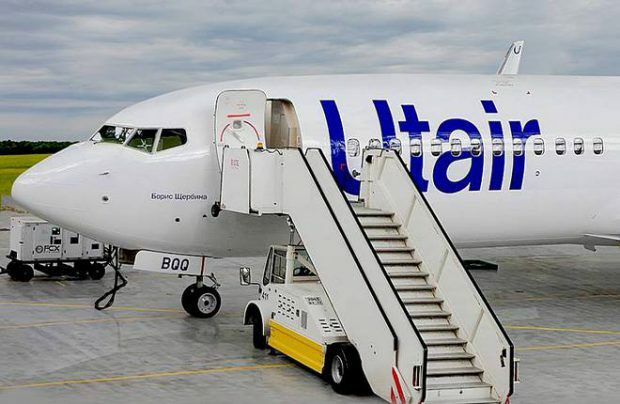 Utair Airlines, Russia’s fifth largest passenger carrier, is cautiously revising the expansion of its fleet strategy, the airline’s president Pavel Permyakov has revealed. It means that only four aircraft, and not five as earlier planned, will join Utair’s fleet next year, with three new Boeing 737MAXs scheduled for delivery in March, April and September and the fourth will be a used Boeing 737-800. The head of the airline attributes the changes to the current unstable macroeconomic forecast. “Probably, purchasing a costly dollar asset will not be very beneficial over a three-to-four-year perspective. Due to the macroeconomic uncertainty we are not ready to proceed at the same rate we had planned three or four years ago. So now we have to finalise our fleet strategy and possibly revise it,” Permyakov further explains. He also mentions that the airline has managed to find buyers for its five vintage Boeing 737-500s that it phased out earlier. As a result, Utair’s B737-500 fleet is now reduced to 27 aircraft. As yet, no final decision has been made on further retirements in 2019. Permyakov reiterates that financial losses are projected for this year, whilst the airline’s passenger traffic is expected to reach 7.9 million. Utair presented its previous fleet renewal programme update in late 2017, which stated that the carrier would take delivery of four-to-five aircraft per year, starting from 2019. The strategy was aimed at bringing the airline’s market share to at least 10 per cent through replacing its ageing B737-500s with larger and newer aircraft. Last year, Utair carried 7.3 million passengers, up by 9.7 per cent on 2016, ranking the carrier as Russia’s fifth largest by passenger traffic numbers.